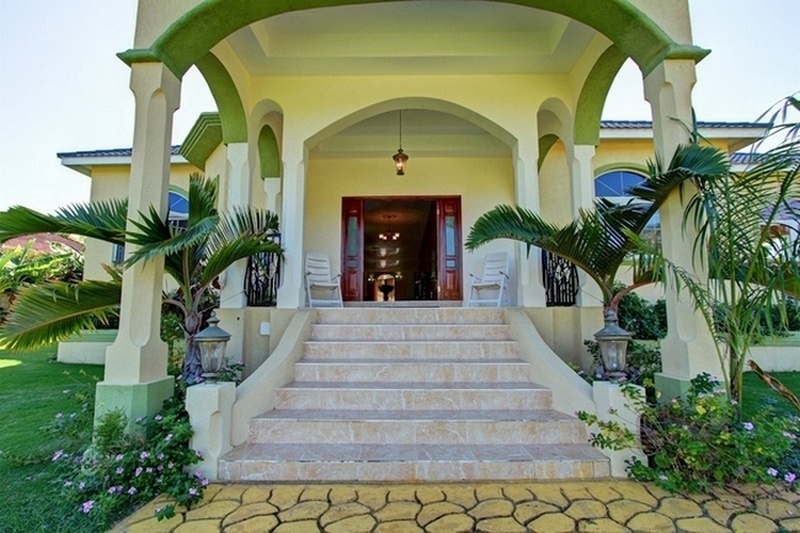 Valencia is a family owned and operated affordable private Luxury villa. We are located in the beautiful St Ann parish, in the gated community of Mammee Bay Estates which is 5 min away from downtown Ocho Rios. St Ann is world famous for must see attractions such as Dunn?s River Falls, Dolphin Cove and 9 Miles which is the birth place to the Honorable Bob Marley. Coming from abroad our 2 International airports are Sangster International in Montego Bay and Norman Manley International airport located in Kingston. Valencia is surrounded by a breath taking garden that would be a plant lover?s paradise. The garden is well groomed and as various plants and fruit trees such as: Ackee,Banana,June Plum and Coconuts. Why not have some refreshing coconut juices while you relax in the garden? Now that?s paradise. Valencia as 3 lovely and spacious fully furnished bedrooms with 100% Mahogany wood furniture?s. Bedrooms come with wireless internet, cable TV, air conditioning, ceiling fan. The Master bedroom comes with a Jacuzzi Spa, while the other 2 bedrooms comes with standard bath and standing shower. What?s cooking? If you love island cuisine well we have a fully equip kitchen to cater our guests needs. Imagine some delicious Ackee&Salt fish served with plantains,green bananas,fried dumplings and a hot cup of Blue Mountain Coffee to get you going in the mornings. Guest can arrange meal plans before arrival. Valencia as a swimming pool, outdoor eating and barbecue area. Car garage, dining room, family room, veranda. The Villa also comes standard with a Housekeeper, Gardner and round the clock security and all areas are wheel chair accessible. Laundry service covers guest only. We permit all smoking to be done outdoors. What?s different about Valencia to other luxury villas. We pride ourselves in giving our guests a great service. Valencia is the best place for the whole family, we have something for everyone.Go swimming at Bamboo Blu our private white sand beach, which is a 5 min walk from the villa, Bamboo Blu serves some of the best Lobster cuisine in St Ann and many activities for everyone. After a long day of fun in the sun, come unwind and relax in our outdoor Jacuzzi/Hot tub which seats up to 8 guests comfortably while looking at the beautiful environment around you. Services offered and Hosting events: Pickup and sightseeing, Massage service, Spa Party, Anniversaries, Banquet, Gala, Family Reunions, Wedding and Wedding reception, Corporate outings, if it?s not listed here let us know.